Some leaders are born and some leaders are groomed. Our Father of the Nation Bangabandhu Sheikh Mujibur Rahman was born to lead the nation through the tumultuous ups and downs heading right to the nation’s greatest achievement and that is our independence. Bangabandhu was almost singularly instrumental in solidifying practically the liquefied spirit of nation’s dormant aspirations for independence which is why he has been with unquestionable legitimacy recognised as Father of the Nation. The greatest ever Bengali of all times, Bangabandhu has undergone innumerable odds in his over three decades’ long struggle for the total emancipation of the Bengali nation of the then East-Pakistan. The name of Bangabandhu Sheikh Mujibur Rahman and our independence are inextricably related to each other and both are eventually dissolved into one indissoluble solution. In this month of independence, we feel like listening to your epic address of 7th March time and again to rise again against all reactionary elements and conspirators still hatching plots against our hard-earned independence. March is the month which marks the climax of an epic hero’s life-long struggle by his bravest ever declaration of independence. What is the mysterious chemistry inherent in a leader’s makings that eventually transforms him irresistible and unconquerable? The answer to this question is not far to seek. The great cause of Bengali nation’s total emancipation from the Pakistani colonial regime was set at the nucleus of Mujib’s soul. On the other end, unfathomable love of the mass people for him did really happen to be the unbeatable power house of his virtually unarmed war against one of the strongest armies of the then world. He has braved the toughest ever challenge of his life at the cost of his own life. He was condemned in the trumped-up Agartala conspiracy case in which there was an every possibility of his being hanged by the Pak military-junta, Ayub Khan. The surging love of Bengalis broke apart the iron bars of the iron dictator. He was again arrested immediately before our War of Liberation. He was taken to the West Pakistani jail and this time the junta could easily kill him but they got frightened seeing the sea of brandishing love of the Bengalis. The real story is that Mujib had an unshakeable faith in the unalloyed love of the common masses for him. There are quite a good number of Bengali nationalist leaders who made out outstanding contributions and sacrifices in precipitating the nascent awakening of Bengali nationalism. However, Bangabandhu stands out predominantly because of his uniquely singular art and craftsmanship in etching out the invaluable sculpture of our independence. Along with his shaping spirit of nationalism, his charismatic organisational abilities and potentialities eventually propelled him forward to become the indispensable leader of the Bengalis. In all twists and turns on the long trail to independence ever since Zinnah declared Urdu as the state language of the then Pakistan at a Dhaka University Convocation in 1948, Bangabandhu Sheikh Mujibur Rahman raised his roaring voice of protest against the West Pakistani rulers and their outrageously discriminatory practices. Although the seed of our independence was sowed in the maiden speech of the founder of Pakistan Mr. Zinnah, it took long further years for germination into the plant of independence without Bangabandhu. It is Bangabandhu who nurtured the seed of independence throughout his whole life and waited patiently for striking the final blow upon the Pakistanis in 1971. The episodes of 1948, 1952, 1954, 1956, 1966, 1969, 1970 and it was finally the March 26, 1971 when Bangabandhu’s life-long dream came true but it was only at the cost of a sea of blood. Responding spontaneously to the clarion call of Bangabandhu, hundreds and thousands of Bengalis from all strata jumped to the occasion and made supreme sacrifices for embellishing the motherland with the highest honour of independence. Bangabandhu’s landmark speech on 7th March which is now the global heritage document declared by UNESCO operationally provides a motivational spirit and all necessary guidelines following his lines and direction, Bengalis of the then East Pakistan freed their motherland in a bloody war of 9-month. Bangabandhu’s speech of 7th March is a self-contained one and a full-fledged practical manual for gearing up our War of Liberation. The precise, concise, compact yet stubbornly fiery utterances of Bangabandhu ignited the inextinguishable fire of patriotism in our hearts. Our Father of the Nation, March may come and March may go but you do not come to see your children who love you more than they can say. The conspirators’ bullets that pierced your impassioned heart actually riddled the heart of Bangladesh. But the heinous killers of Sheikh Mujib did not know that Mujib represents not any single individual; rather, he embodies an undying spirit of inextinguishable eternal flame blazing fiercely beyond the bounds of time. In fact, dead Mujib is more powerful than the living Mujib which is why Mujib has been reincarnated through the spirit that he once instilled in the hearts of the Bengalis. In the cyclic fashion of time, the month of March will come time and again and with it the memories of our founding father of the nation will bloom anew in the hearts of the people of Bangladesh. Mujib’s birth in the month of March or otherwise in the month of independence, may be coincidentally, again reminds us the fact that Mujib was born for the independence of Bangladesh which is why the legacy of Mujib makes up the nucleus of the history of Bangladesh. 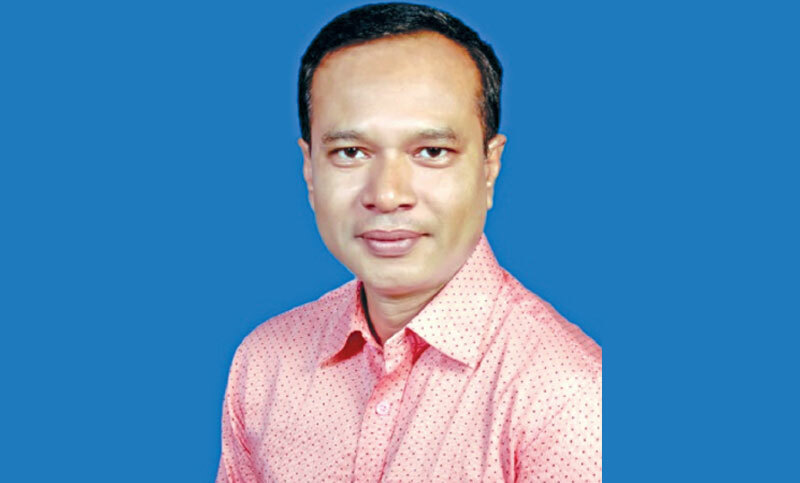 The writer is an Assistant Professor of English, Bogura Cantonment Public School & College.